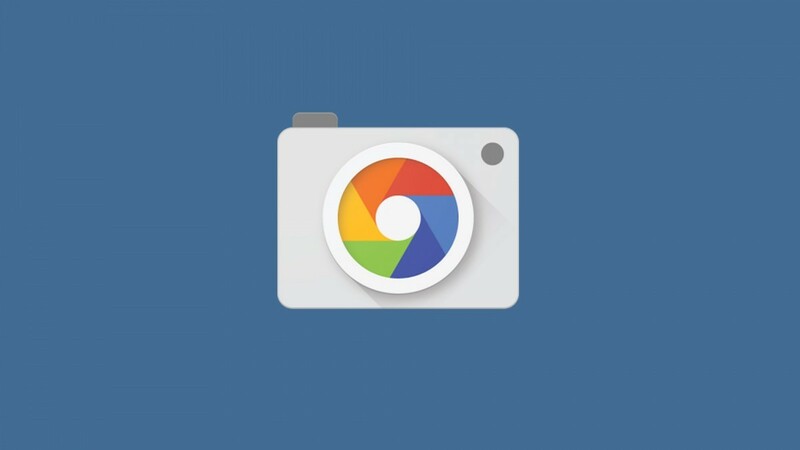 We just posted the updated Google Launcher from the Pixel 2 and now we present you the APK file for the updated Google Camera which comes with the new Pixel 2. For those who want to install the file, you can do it just by downloading on your current Nexus, Pixel, or other OEM-branded phone and give it a try to get a taste of what the Camera app will be like on the Pixel 2. Although, if you are thinking that this update comes with Pixel 2 goodies, you are wrong. The features of the Pixel 2 won't work on your current device: the AR stickers are nowhere to be found and Motion Photos are, as we reported previously, exclusive to the Pixel 2 and Google Clips (for now at least). 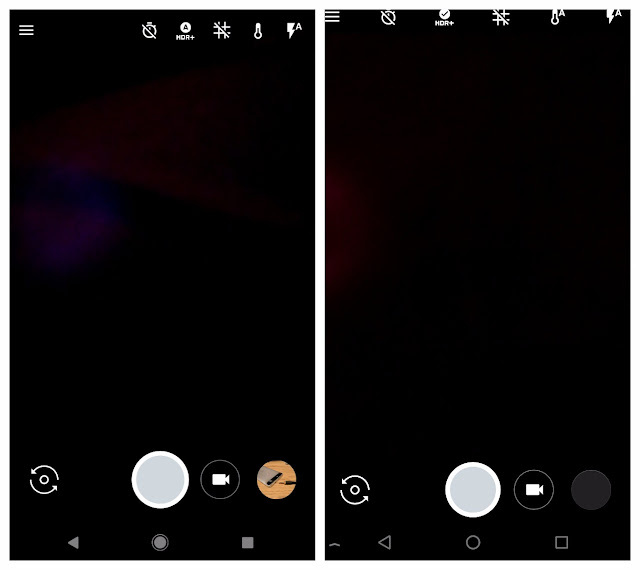 With that said, there are still a couple of interesting changes to the Camera app from the existing 4.4 to the new 5.1, so let's start! 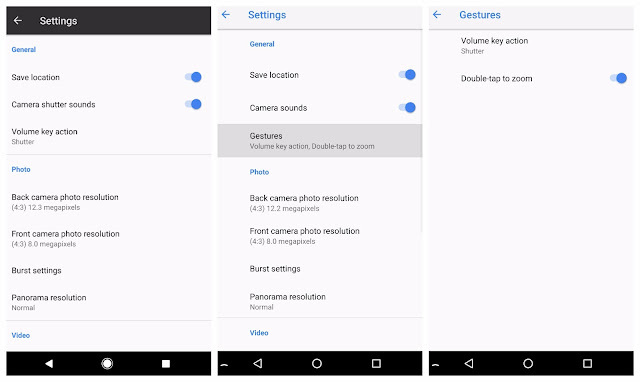 First of all, there are version of Google Camera, 5.1 and 5.0. 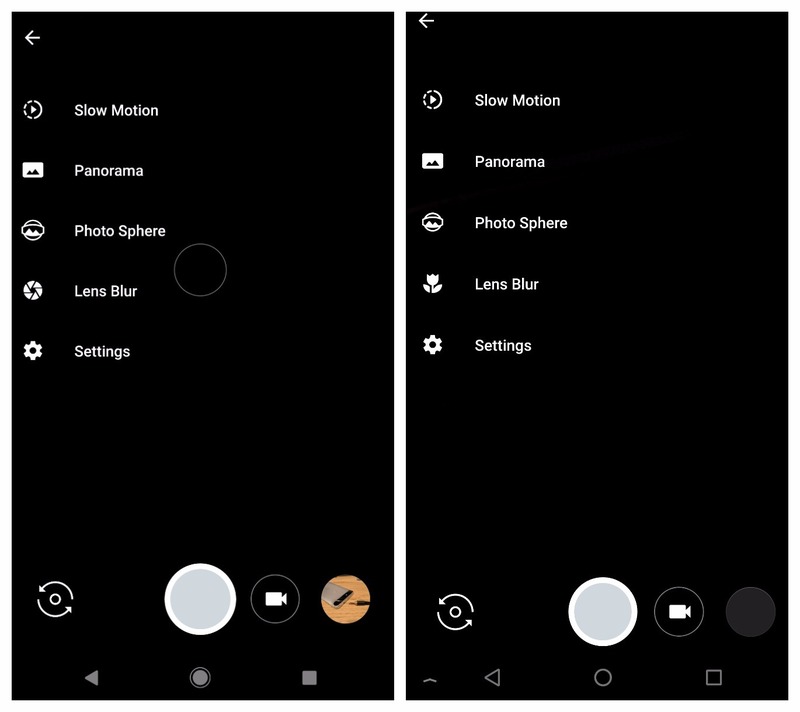 The 5.0 version brings Motion Photos but only for Pixel devices another version of Google Photos, v5.0 (APK Mirror) that does indeed bring Motion Photos but only for the Pixels. And Camera v5.0 doesn't have all these new features described below in 5.1. I'd trade those off for Motion Photos though. Motion Photos are short (~3 second) video clips that are taken immediately before and after you hit the capture button. They’re not very high quality videos (1024×768 MP4 clips paired with the original JPEG according) but they’re pretty good at helping you to make your experiences more “alive.” Google has a couple of sample Motion Photos available for you to peruse. On Camera 5.0 Motion Photos icon shows up in the middle of the top row of icons and can be set to on, auto, or off. 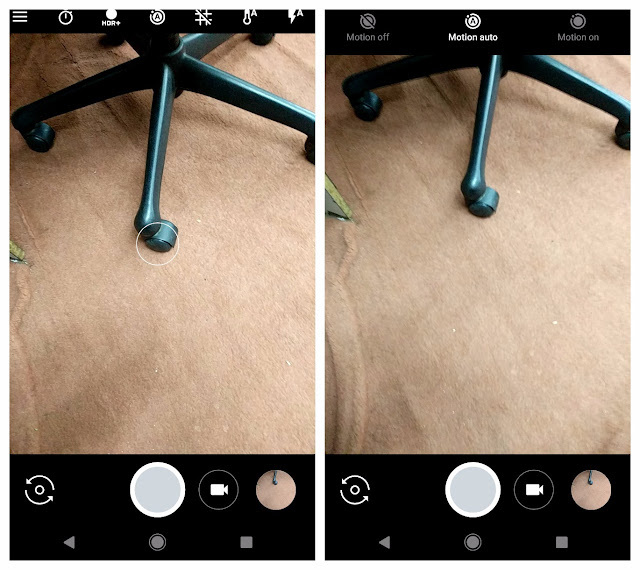 It seems to do its job well, but if you update to version 5.1, which we tested below, the Motion Photos option disappears from the first-gen Pixels. Google must have quickly realized it needs to lock this down to its Pixel 2. And the interface is much cleaner now. The row of options on top has been spaced out which can help less accidental triggers of one instead of the other. Second, the icon of the Lens Blur option is changed from a camera shutter to flower, which represents better for macros. That's so it better indicates that it works with up-close objects. Third change is, previous version of the Google Camera which was 4.4 had this feature where you could tap anywhere on the screen to show exposure meter then drag up and down to control it. 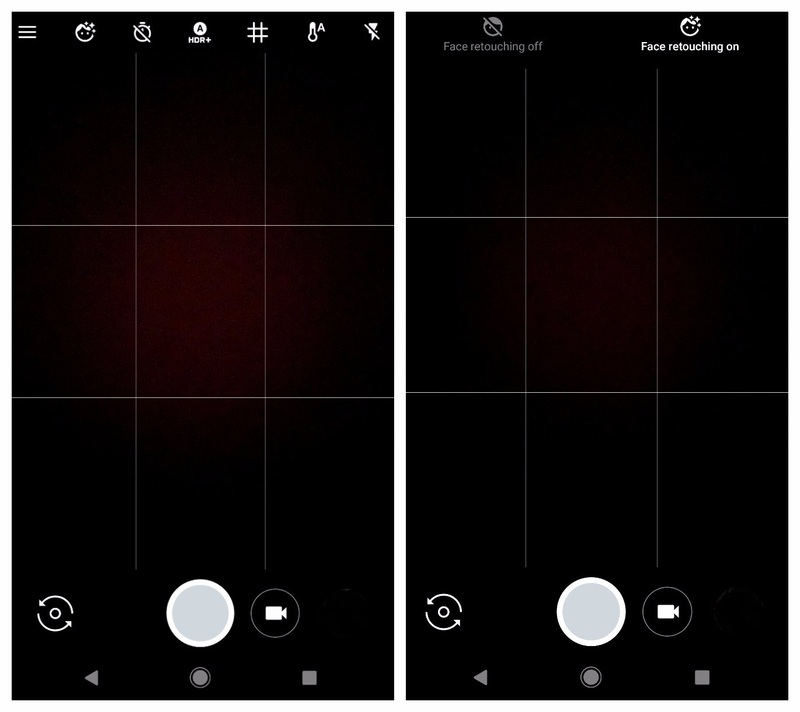 You may have not known it, but if you tapped and held on the screen after adjusting the exposure, you could lock it down. That, however, was mostly a hidden option and it was a bit unpredictable since you had to tap somewhere on the screen to lock it. With this update, there is now a lock icon on top of exposure slider. 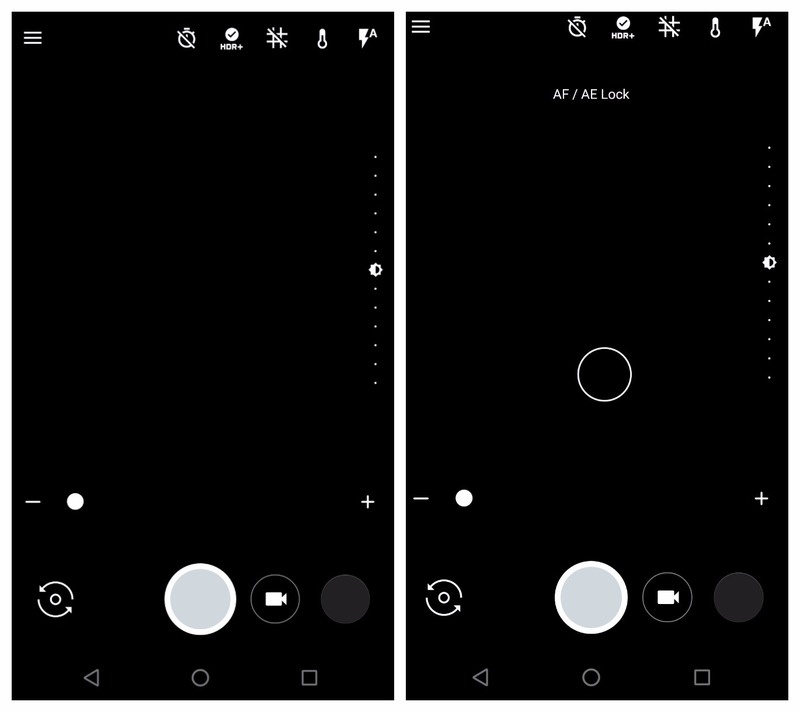 So you can tap to focus, move the slider to adjust the exposure, then tap the lock. 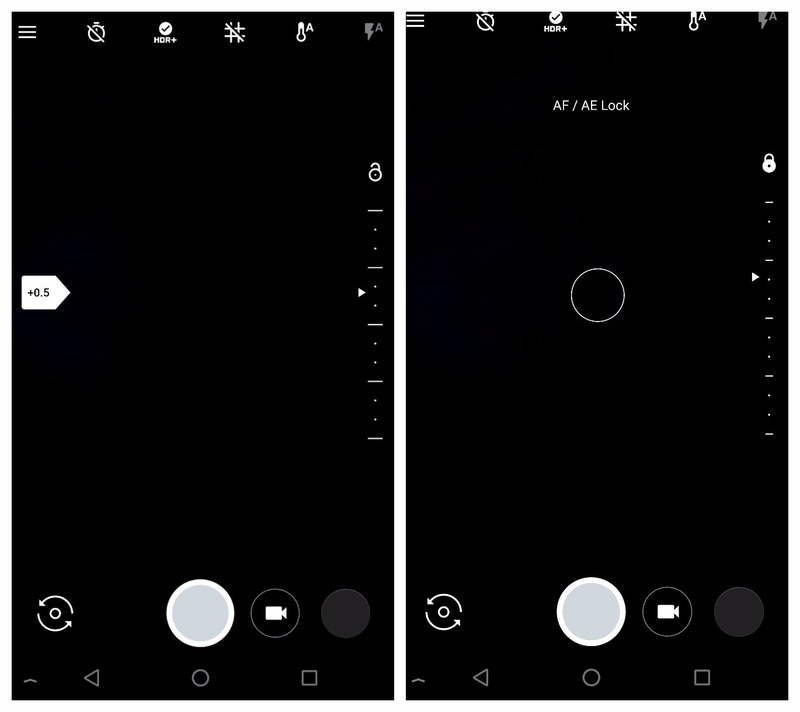 This makes things easier and more visible than before since it doesn't require you tap anywhere on your image and risk changing the exposure/focus settings. Also, there is an Face Retouching option/mode in the front cam, whenever you will switch to front camera, this feature will come on top on the first place. Now what it does is, it makes your skin smoother than before and can take care of most of the things if you aren't wearing makeup. The last difference we noticed are in the app's settings. First, the title bar has gone from dark to white and Volume key action isn't a top menu item anymore, but is nested inside the new Gestures menu along with Double-tap to zoom. The option for double tapping to zoom isn't new, it was introduced in 4.4, but you can now disable it if you don't want it. If you want to install update, hit the link below. The decision is yours whether you want Motion Photos or all these new changes. Let us know if you notice anything else that's new do let us know.